Ensure quick and secure data retrieval from your cloud account to your NAS devices via Synology Express. To ensure data security during transit, the most recent version of your files are encrypted and sent to you in a temporary storage device. 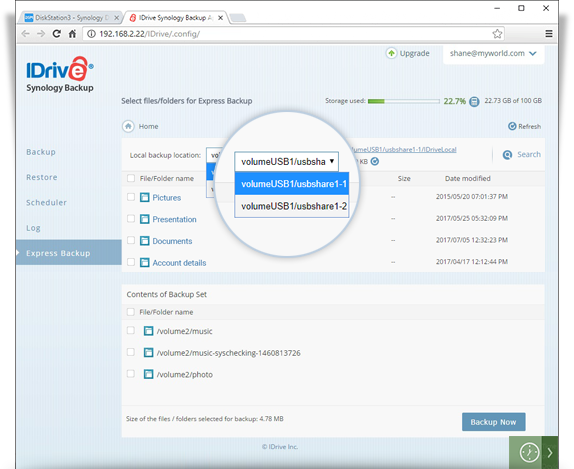 You can easily restore your files in original format using the Synology Backup application. Connect the received express device to your Synology NAS. 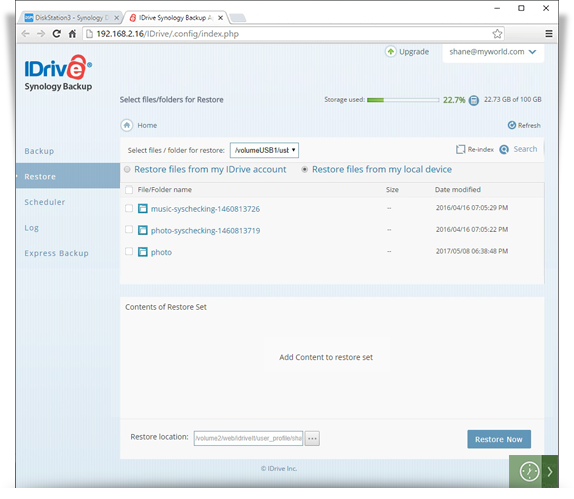 Login to your IDrive account in the Synology Backup App. Go to the Restore page in Synology Backup app page and select the 'Restore files from my local device' radio button. If you wish to stop the restore operation, click 'Stop Restore', once the restore is in progress. This will rearrange and verify the integrity of data on your express device. 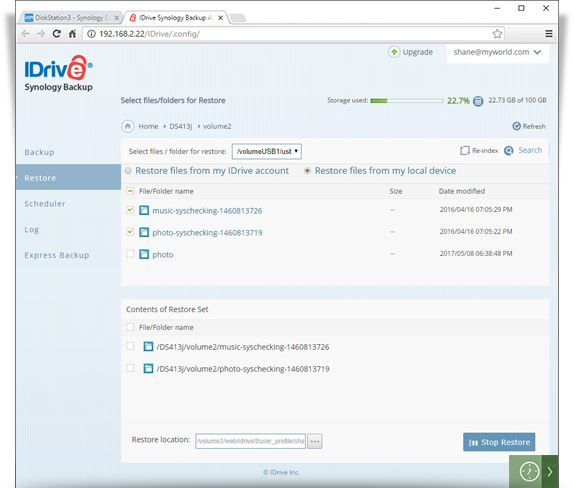 Go to the 'Restore' tab the Synology Backup app page and select 'Restore files from my local device'. 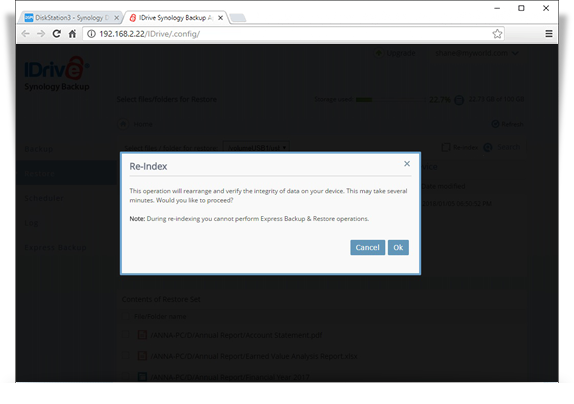 Click 'OK' in the confirmation window to start re-indexing.